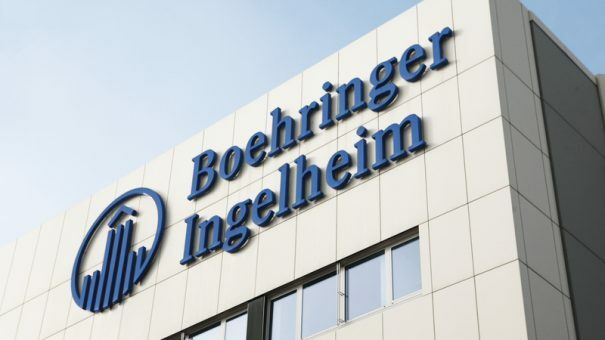 Boehringer Ingelheim has posted a 4.1% rise in 2015 currency-adjusted sales, mainly thanks to a rapid acceleration in its diabetes drug revenues. The privately-owned German pharma company was boosted by increasing sales of Trajenta and rising star Jardiance, producing growth in the diabetes portfolio revenues of 49% to 1.1 billion euros for the year. This was a welcome return to growth following a 3.2% decline in sales in 2014. However the company will need the drugs to keep growing to fill the gap created by the anticipated decline of its biggest seller, Spiriva. The asthma and COPD drug saw its sales decline slightly last year by 0.7% to 3.5 billion euros, ahead of its patent expiry in 2018. Sales of oral anticoagulant Pradaxa also hit a wall, with revenues inching up by just 0.4% to 1.3 billion euros. Last year saw the launch of Praxbind, an antidote that helps reverse the effects of the drug for rare emergency situations. Speaking to journalists at Boehringer Ingelheim’s headquarters for the annual results conference, its commercial head Allan Hillgrove said Praxbind was already having a positive impact on sales of Pradaxa in the markets in which it has been launched so far. Pradaxa is trailing far behind its rival, J&J and Bayer’s Xarelto, however, which grew by more than 30% last year to 2.25 billion euros. The company has launched a number of other products recently – Ofev for idiopathic pulmonary fibrosis in Europe and Spiolto Respimat for COPD in Europe and the US. One of the biggest developments for the company will be a new licence for Jardiance, which last year proved that it can reduce the risk of cardiovascular death in diabetes patients, as well as controlling blood sugar levels. Outgoing chairman Andreas Barner says the company expects to gain FDA approval for the new licence in late 2015 or early 2016. Announced last August, the EMPA-REG OUTCOME trial showed Jardiance (empagliflozin) reduced the risk of dying from heart attacks or strokes by more than a third in diabetes patients. Speaking at the company’s annual results press conference, Barner said the data constitutes a ‘medical breakthrough’ comparable to statins. The data represents a huge commercial opportunity for Boehringer and its co-marketing partner Lilly, which should see it become a multi-billion dollar product. The companies also announced today a new trial of the drug in people with chronic heart failure (CHF) covering patients with and without diabetes. If this trial proves successful, it would open up the drug’s potential even further, making it available for patients with no diabetes. Once licenced in CHF, it would compete with Novartis’ new treatment for the condition, Entresto. The company is in the process of re-shaping its strategy, having already sold of its Roxane generics division, and conducting an ‘asset swap’ with Sanofi. This 22.8 billion euro ($20 billion) deal will see Sanofi acquire Boehringer’s consumer health division in return for it acquiring the French pharma firm’s animal health division. This leaves Boehringer with three divisions: prescription medicines, an enlarged animal health group and a biopharmaceuticals unit, which provides contract manufacturing services. 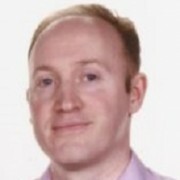 Andreas Barner is stepping down from his chairman role in July after four years as leader. He is handing over to Hubertus von Baumbach, currently the company’s chief financial officer. Baumbach reiterated that the company would continue to be independent and privately held, although declined to say if it had been approached by any suitors. The company has 10.2 billion euros in reserves which he says is there to safeguard the company’s independence and financial flexibility for future growth – but also declined to say if company was open to making its own acquisitions. Despite the small shrinkage in 2015 sales of its biggest drug Spiriva, the company says its post-patent decline will not be rapid, as it has many different patents on the drug and its inhaler device.